Concept Karting & Racegear will be closed for business on Monday 3rd November 2008 and Tuesday 4th November 2008. Buy two or more NGK Iridium Spark Plugs between 1/10/2008 – 30/11/2008 for your chance to win one of 10 Nintendo Wii entertainment systems. 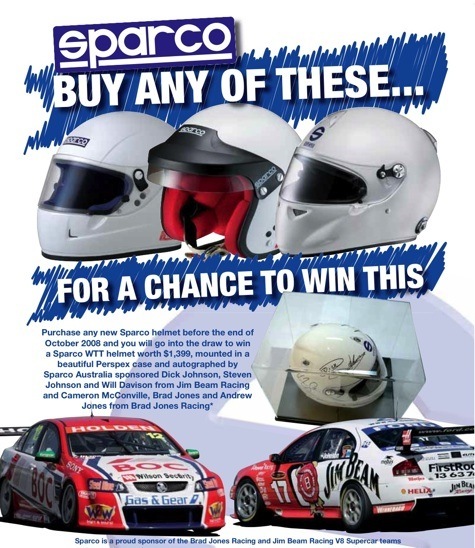 Special Offer – Purchase a Sparco Racesuit from Concept Racegear and receive a FREE 2 day ticket to the Historic Sandown race meeting on November 8th & 9th 2008. Hurry as only a limited number of these FREE tickets are available. New product in stock now. 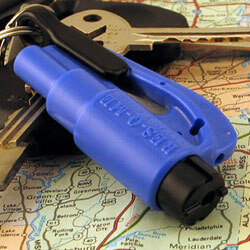 ResQMe Auto Escape Tool priced at $39.95. A must have safety item for all forms of motor sport where harnesses are in use. The ResQMe Tool has to be attached and be clearly visible inside the vehicle. ResQMe measures a mere 7 x 4cm and fits in the palm of your hand. Cuts harness belts effortlessly using a concealed heavy-duty stainless steel blade. Breaks any tempered glass window during an emergency to free the occupants using a spring loaded steel point head. With its detachable clip, it is small, affordable and simple to use – but more importantly it can mean the difference between life and death when you need it the most. Please note: ResQMe will not break windshields or windows made of laminated glass. ResQMe will still function in vehicles which may have laminated side windows. ResQMe is specifically designed for emergency use only.